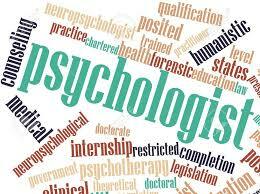 The licensing and discipline of Psychologists in the State of California governed by the Board of Psychology. Psychologists in the State of California are not required to self report arrests for misdemeanors such as DUI or Reckless Driving. However, a psychologist must disclose both arrests and convictions on their initial application for licensure and any renewal thereof. If you hold a Psychology license in the State of California and you have been arrested for driving under the influence of alcohol, drugs or a combination of medication and alcohol, you should expect that the Department of Consumer Affairs California Board of Psychology (BOP) will be notified of your arrest within a week. The Department of Justice of the State of California maintains a database of fingerprints submitted through “Live Scans” and will notify regulating agencies of arrests of their licensees. The consequences vary from being placed on probation to termination or revocation of you professional license. Failing to disclose on these applications can exacerbate the problem and cause more serious and more recent disciplinary results. Psychologists are regulated by the Board of Psychology. The Board publishes its reinstatement guidelines here online at page 24.
Business and Professional Code Section 480.a.1 gives discretion to the BOP to deny professional licensing based on an applicant’s criminal conviction. It is a very common question for people to ask whether a DUI conviction still must be disclosed to the BOP if it has been expunged and Penal Code Section 1203.4 relief was granted. Although such reporting may not need to be disclosed on a job application and a variety of other forms and applications, the BOP requires disclosure of an expunged conviction on its license and renewal applications. Failure to disclose a conviction is considered an act of dishonesty and can put your license in further jeopardy. The disciplinary action process includes a rehabilitation procedure and takes into account the nature and extent of the conviction (such as hit & run, level of blood alcohol, etc.) and utilizes “…all competent evidence of rehabilitation furnished by the applicant or licensee.” Business & Professional Code § 482. This means that getting involved in the recovery process right away and keeping good records is critical. These documents will ultimately be furnished to the Board for their review and will keep you ahead of the game as well as assist us in your representation. In California, the holder of a professional business license is afforded an administrative hearing under the Administrative Procedures Act (APA), which provides for an opportunity to be heard regarding any claims that could affect your professional license. Unlike a judicial hearing, administrative hearings are overseen by the corresponding licensing board and include an appeal process. In the event that that you receive disciplinary action and need to go through the process, including the rehabilitation procedure, our office will assist you in gathering all of the required records and proofs of program completion and documentation needed while minimizing the agencies penalties and working to reduce and/or terminate probationary periods. It is to the licensed professional’s advantage to proceed with an experienced team that will assist them in navigating through the formal process and afford you the greatest outcome while maintaining your practice. Disciplinary actions are serious threats to the livelihoods of licensed professional and demand representation to avoid serious consequences. If you or anyone you care about is a Psychologist licensed in the State of California and has been charged with a DUI, you should immediately contact the DUI Lawyers of the Law Office of Barry T. Simons at 949-497-1729 to obtain the kind of quality representation that will minimize the risk of jeopardizing your professional license. As you progress through your education you will reach a point where you will have the opportunity to intern under a licensed Psychologist and will have to apply to the California Board of Psychology to become a Psychological Assistant. The application form requires disclosure of convictions for both misdemeanors and felonies including those that may have been dismissed pursuant to Penal Code § 1203.4. If you have suffered a conviction, you will be required to submit certified copies of all court records in your case together with copies of related police reports. Most importantly, you will have to show proof of successful completion of any probation that was imposed together with a letter describing rehabilitation efforts and demonstrate your fitness for licensure. The Law Offices of Barry T. Simons is a client centered practice. We will use all of our professional skills and resources to achieve the best results possible for you while handling your DUI case and will also be there to answer the difficult questions that may follow you throughout your career.